Sometimes we overlook the influence and role many former residents have played in shaping the society we live in today. Raised in Jacksonville's Eastside, A. Philip Randolph (1889-1979) left town in 1911 in hopes of becoming an actor in Harlem. Instead, he went from being labeled the most dangerous black man in the country to founding the country's first black labor union and organizing Martin Luther king Jr.'s March on Washington in 1963. Here's a look at ten sites in Jacksonville with strong ties to Civil Rights leader A. Philip Randolph. In 1891, African Methodist Episcopal (AME) pastor James William Randolph moved his family, wife Elizabeth and sons James, Jr. and Asa Philip Randolph, to Jacksonville as a part of a larger black migration to southern cities in the decades following Emancipation. In 1892, Randolph began raising money for a new permanent AME church by organizing Saturday night fish and chicken fries. The congregation he established, first named New Hope AME Chapel and eventually renamed Greater New Hope AME Chapel, continues to worship at its original site at 2708 North Davis Street. 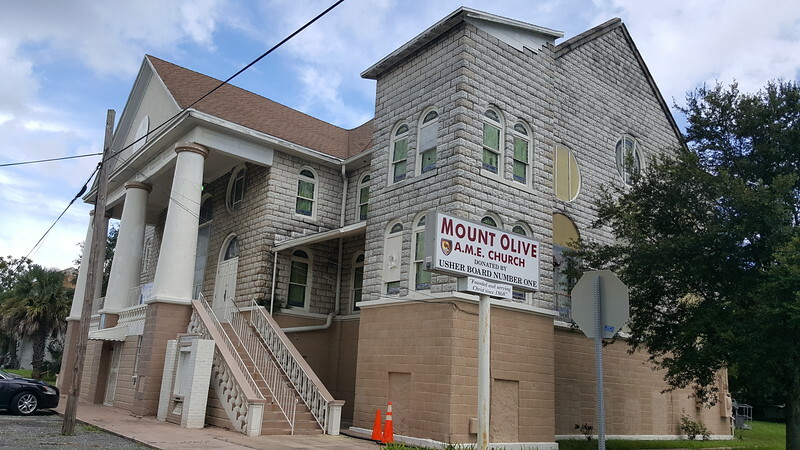 Since Asa Philip Randolph’s father would preach at rural AME congregations across Northeast Florida on a regular basis, his mother Elizabeth Robinson Randolph was a member of the Eastside’s Mount Olive AME Church at the northeast corner of Pippen and Franklin streets. At the time, Joseph Edward Lee, Jacksonville’s first black attorney and one of the state’s most influential men during Reconstruction also served as a minister. A captivating orator, Lee was powerful national political force for five decades, acting at various times as a state legislator, attorney, federal customs collector, and educator. At Mount Olive, a young Asa Philip Randolph studied Lee’s deliberate, quiet speech and diction. These would become traits he would use later in life as a union and Civil Rights leader. In addition, James William Randolph would take his two young sons to visit Lee’s office in downtown Jacksonville occasionally. Regarded as the only Floridian with easy access to President William McKinley and a close friend of President Theodore Roosevelt, Lee was despised by local Jim Crow era public officials but a huge role model to young black Jaxsons. Since Lee had white people also working under him, the purpose of Randolph’s trips to Lee’s office were to teach them that they, too, could attain similar positions of authority. 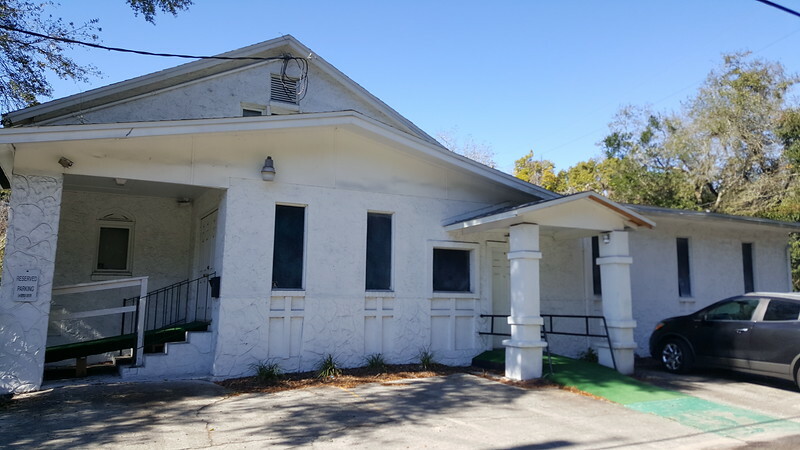 In need of expansion, in 1922 the current sanctuary was designed and built by Jacksonville’s first black architect, Richard L. Brown. Between 1883 and 1929, Pittsburgh industrialist Andrew Carnegie funded 2,509 libraries in the United States and Europe, including a public library for Jacksonville following the Great Fire of 1901. 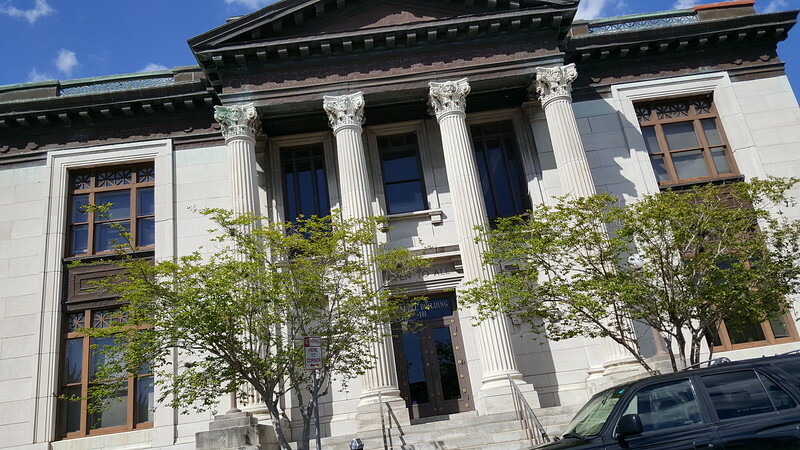 Designed by architect Henry John Klutho, the Jacksonville Free Public Library formally opened on June 1, 1905. While Carnegie believed cultural organizations like libraries could help raise up the working class, not all of Jacksonville’s citizens were fans. The Reverend James William Randolph was considered to be very radical in his thinking and beliefs during the Jim Crow era. Not only did he preach to his congregation that Jesus and Moses were men of color, he also taught his sons that black was not to be inferior and that they should consider men like Nat Turner, Denmark Vesey, Frederick Douglass, Hannibal and Joseph E. Lee as role models. In addition, a memory that would forever stick with Randolph took place a few years earlier during the summer of 1898 when a jailed black man accused of assaulting a white woman was in danger of being lynched. One afternoon a group of men walked up the Randolph residence at 830 Jessie Street and whispered this news to their father. Their father immediately volunteered to help stop this lynching from taking place. Randolph gave his wife a shotgun to protect the kids and house, grabbed his pistol and headed downtown to become one of the black men who threatened to shoot anyone from the lynch mob who was brave enough to get close to the jail. No lynching took place. Opposed to segregation and placing his sons in situations where they would be treated inferior, he would not let them read books in the new library’s segregated reading room and ordered that they walk or ride bicycles around town instead of riding Jim Crow streetcars.